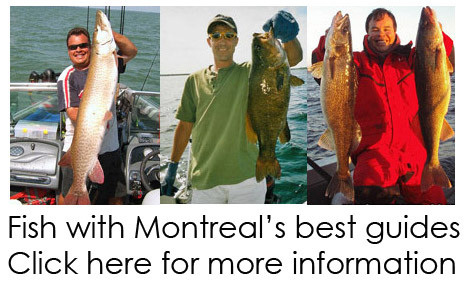 Freshwater sport fishing in Montreal, Quebec and Ontario. The official Freshwater Phil blog. 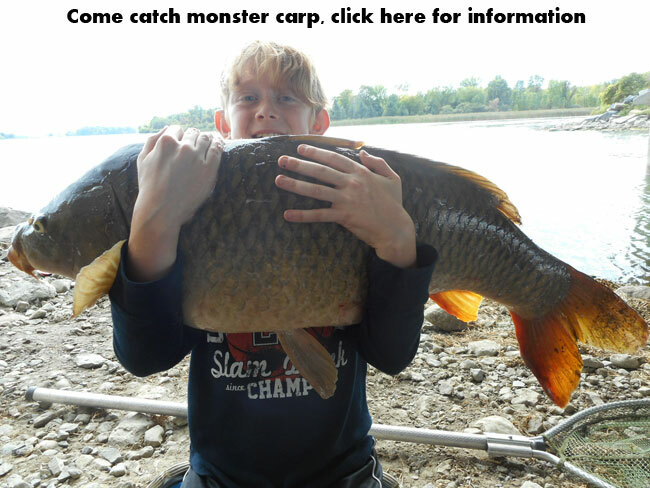 Information on sport fishing based on my personal experiences. Finally visited Hawaii for the first time in my life. 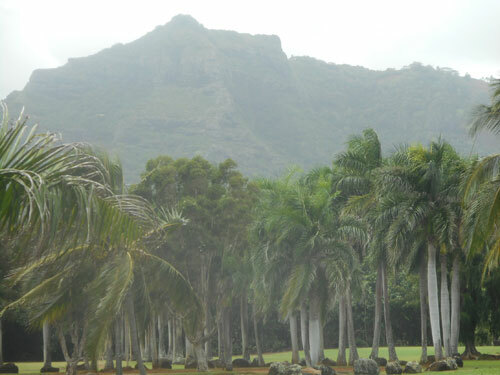 My wife and I have been planning to do so for over 25 years, and with her sister deciding to get married in Kauai, we left the kids home for the first time in our 24 year marriage, and headed off for a romantic getaway in paradise. Most of her family had all sorts of day trips and various activities planned, but being surrounded by the Pacific ocean for the first time, fishing was mainly what I had in mind for most of my outings. I had originally planned on chartering a big game fishing guide, but being the only fisherman in the group, I found the $1200 USD fee for an 8 hour outing a bit too much, considering that the captains said I'd be lucky to land 1 yellow tuna in the 150-250 lbs range, and that they would keep the fish for themselves if ever we did. 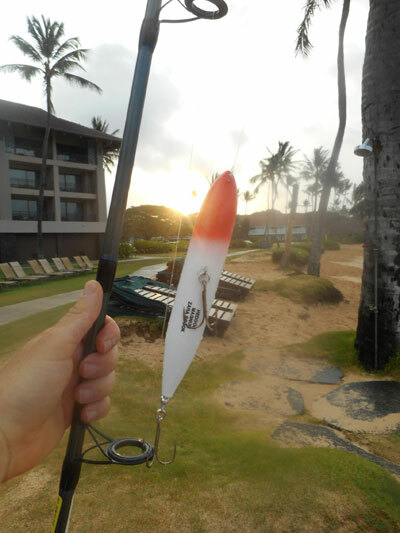 Not having too many other choices to fish in Kauai, I decided to take along some lures and tackle, as well as small saltwater reel. 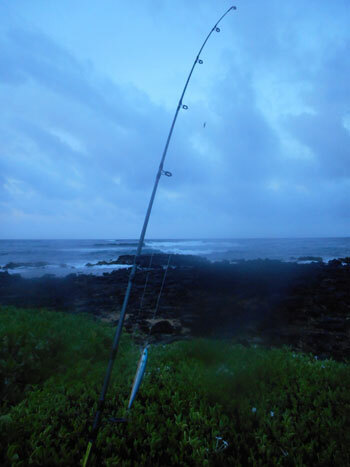 I purchased a 9 foot medium action rod for $20 at Walmart upon arriving, and looked forward to hitting some of the spots I researched before arriving in Kauai. 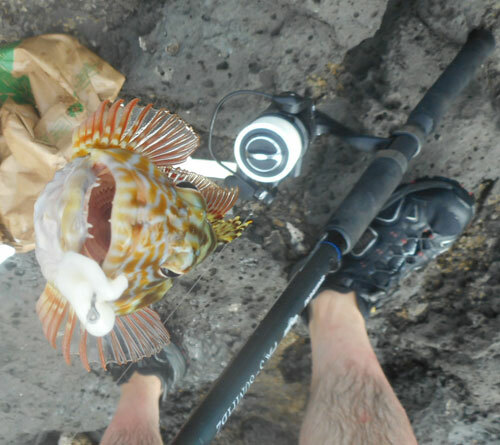 My goal was to hopefully catch some smaller reef fish, and possibly hook into something bigger either using lures, or baiting up some of my smaller catches. 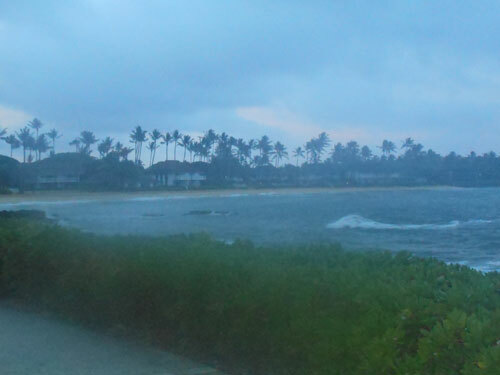 After not being able to sleep most of the night due to jet lag, I hit the Poipu Beach behind our resort (Sheraton) before sunrise. Not having had a chance to pick up bait, I tried casting a variety of lures into the surf though the first hours of the day. No success with lures, I eventually picked up some frozen shrimp and calamari squid skewers at the local grocery store. 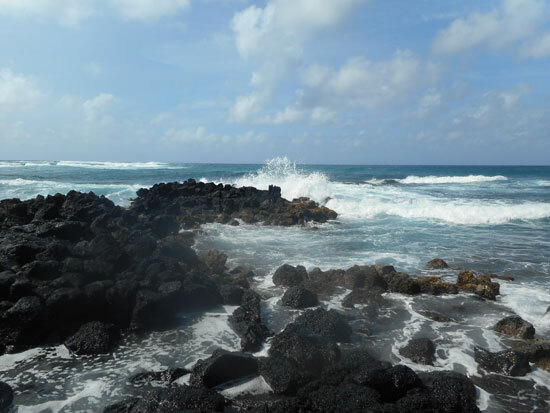 As the beach was crowded by the time I got back, I chose to fish the lava rock reef instead, which is what most of Poipu's shoreline is made up of. 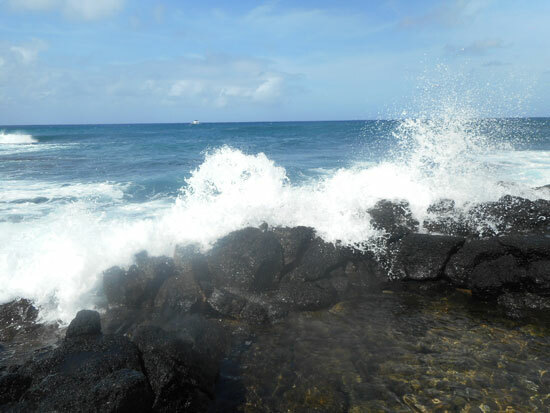 Walking on slippery yet abrasive lava stone in the crashing surf can be tricky. Any wrong step or momentary laps in knowing where you are can be disastrous. 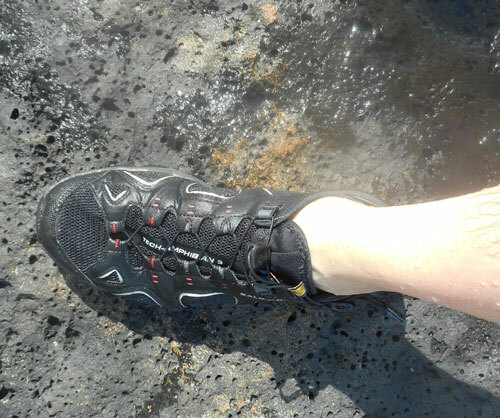 My Salomon Tech amphibian water shoes were perfect for the task at hand, I managed to remain on my feet while climbing, wading in pools, and standing ground in crashing waves. 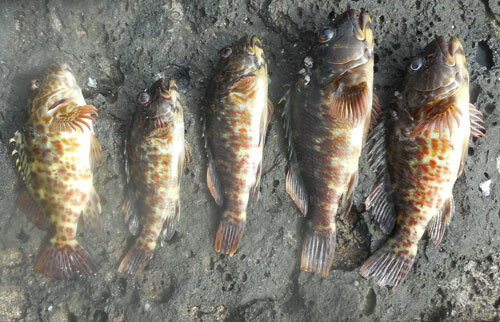 Passed by some small pools in the low tide, and noticed a variety of tiny colorful fish in some of them. Downsized me presentation to using a 12 lb test fluorocarbon leader and tied on a small #6 baitholder hook. Baited with a small bit of shrimp, I landed my first catch of the trip. The sergeant fish is also known as ma'mo by native Hawaiians, and apparently quite tasty. 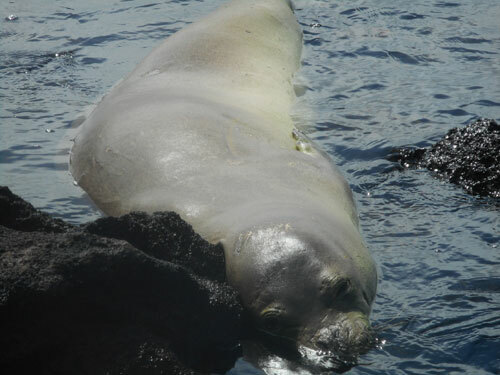 However, I had read about many reef species containing various levels of the Ciguatera bacteria, which can be toxic and sometimes fatal if ingested. Not wanting to take any chances, I kept it for bait to use at a later time. 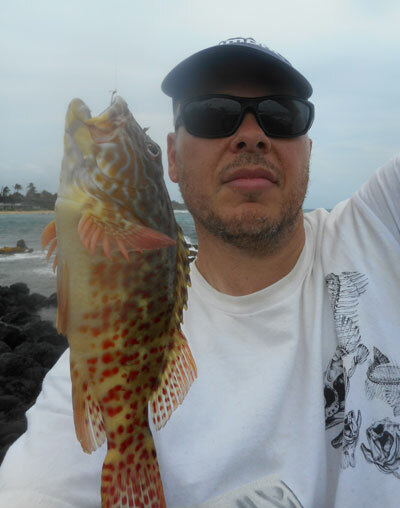 Caught a few more sergeant fish out of the same pool. 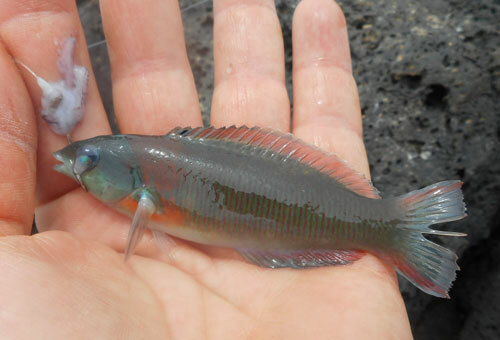 I then landed a tiny saddleback wrasse, my only one of the trip. Very colorful, much like an exotic aquarium fish. 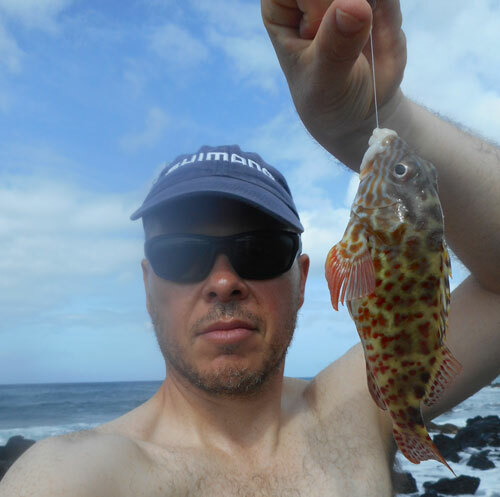 Upsized my bait, and immediately caught my first of many of these colorful, stocky hawkfish. Having evening drinks planned with the family, I had to call it an early day, but had stocked up enough cutbait for a while. 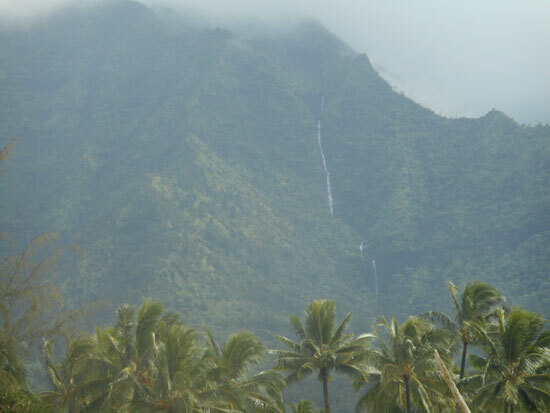 My Wife had planned a Kayak trip and hike up to the Wailua Falls. 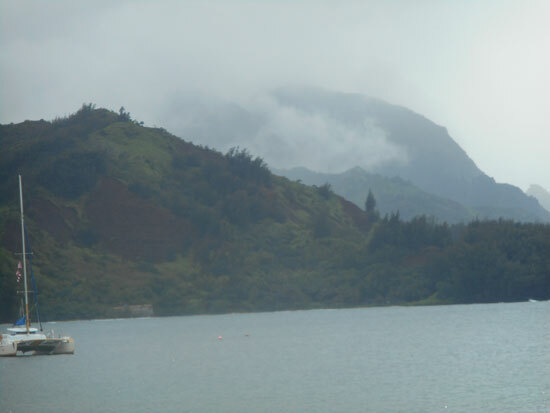 The Wailua river is Kauai's only navigable river, and flows into the ocean at Lydgate state park. We drove up bright and early, plan was for me to fish while my wife did her kayak trip and hike. 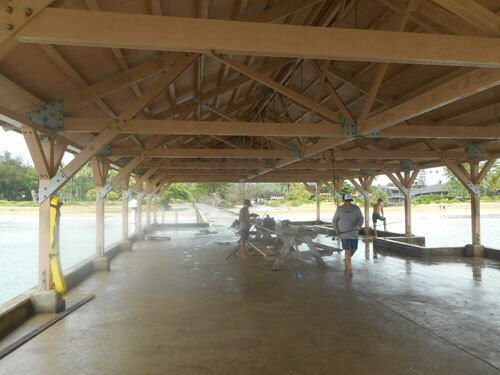 Some major April storms destroyed giant trees in the Hawaiian jungle, and the swollen Wailua river washed them into the ocean. Lygate state parks beach are now littered with enormous trees crashing in the surf. 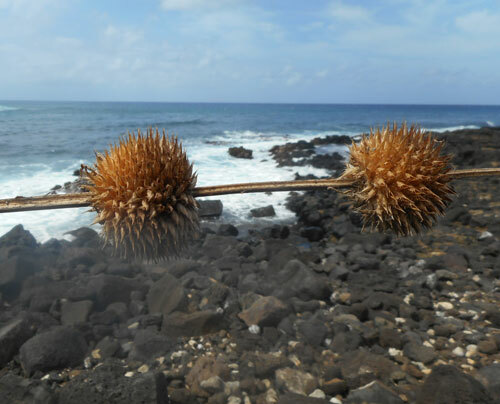 My wife headed off to her jungle adventure, while I fished the treacherous shoreline of incoming dead trees acting like torpedos in the crashing waves. 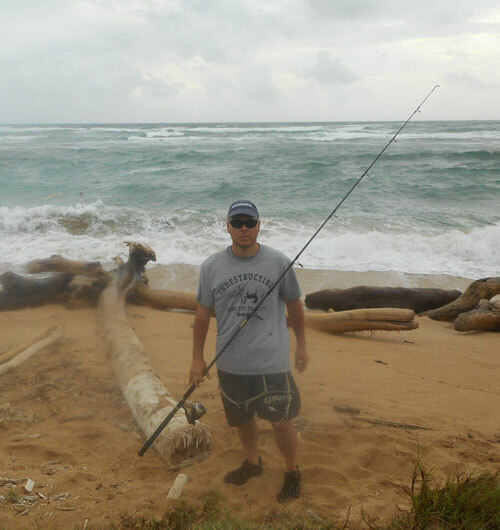 Was able to fish properly, nor hook anything on the variety of lures I threw into the surf. 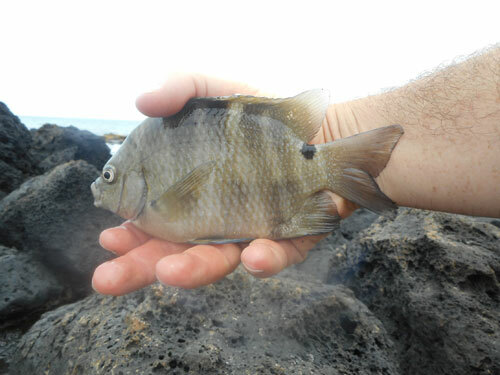 Eventually made my way to the mouth of the Wailua river, where I landed this juvenile blacktail snapper. After fishing the surf on the way back, I made my way over to the marina, where my wife was just returning from her 5 hour trip up the river. 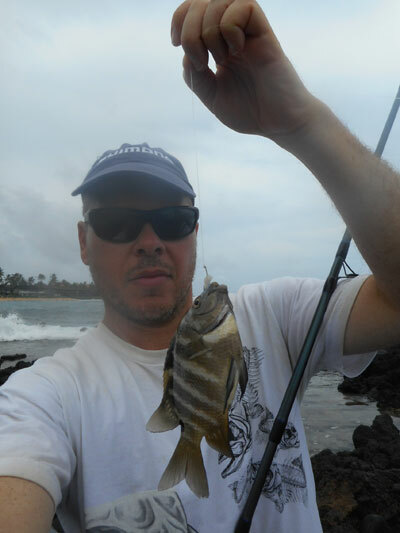 With an evening/overnight trip planned to the Waimea pier on the Western tip of the island, I decided to catch some more reef fish for bait. 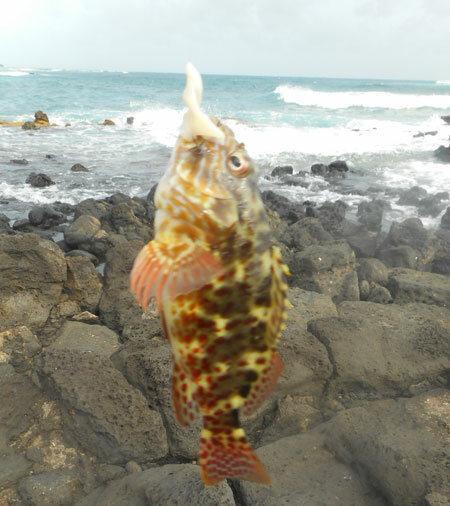 Caught some more hawkfish on the reef behind the Sheraton in Poipu. 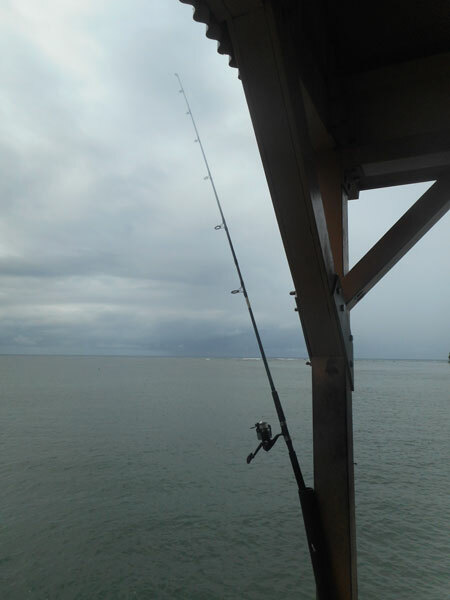 Well stocked, I headed West to the Waimea Pier, hoping to hook something a bit bigger. Arrived there in time for the sunset, but the sky was overcast. 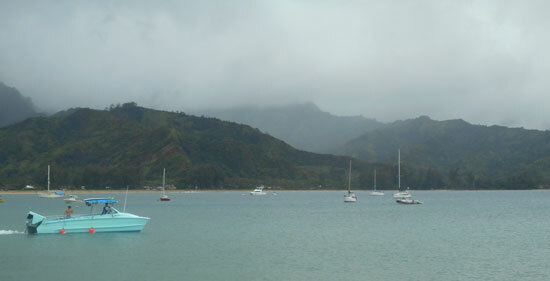 Would have liked to catch the sun setting from the Western tip of Kauai... Got some pics of the pier instead. Butterflied on of my hawfish, and cast off the end of the pier. A few locals were fishing for some tiny fish near me, they were hoping to catch some dinner and having a tough time. After speaking to them for a bit, I learned that the pier was dangerous at night, due to local homeless bums robbing and harassing people on the pier after dark. 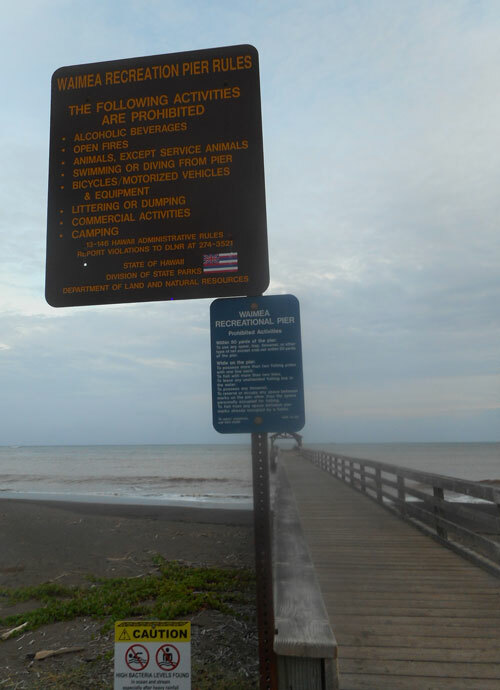 So after not catching anything for a couple hours, we left the pier together as a group for safety purposes. 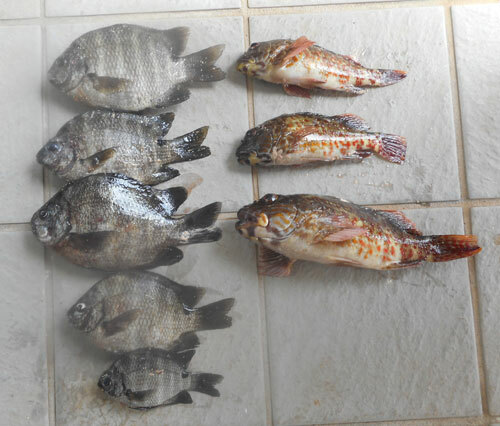 I felt bad for them not having caught anything substantial, so I gave them all the bigger sergeant fish and hawkfish I had caught the previous day, They were overjoyed, and surprised that a freshwater newbie like myself managed to catch them their dinner. Heading back to my hotel earlier than planned, I decided to fish the beach area, as no one stays in the water there after dark. 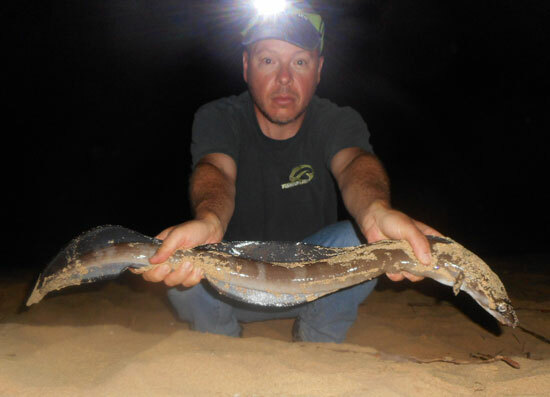 Cut up another hawkfish, and hooked into my first conger eel after about an hour or so. Not the big reef shark I was hoping for, but still a great way to end off day 2. Another hot sunny day forecast. 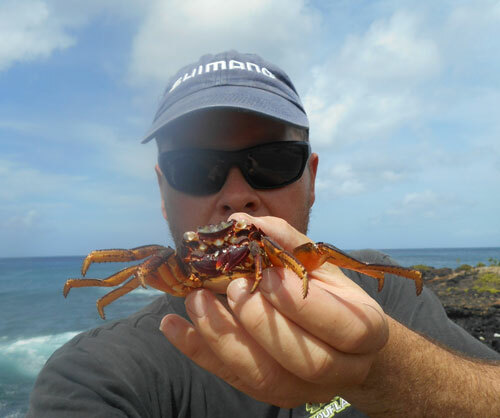 Wife went to hike the Waimea canyon in Western Kauai with her dad and brother, I decided to explore the reef between the Sheraton and the Mariott resort at Koloa landing. Basically having given up on throwing lures into the surf, I packed only some terminal tackle and a couple popping corks. Day started off with some more stocky hawkfish. 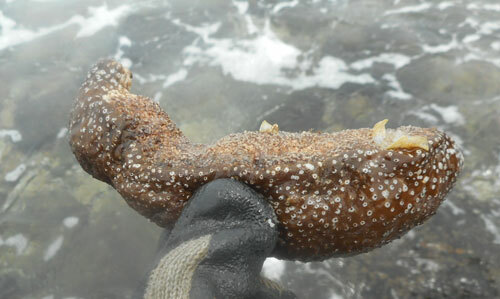 A variety of washed up / dried out crustaceans can be found at low tide. 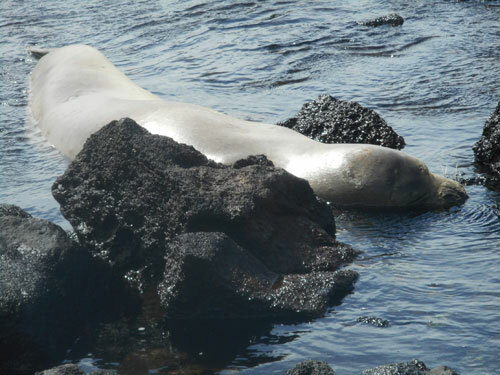 Coming around a bend, I ran into what looked like to be a dead Hawaiian monk seal washed up in the reef. 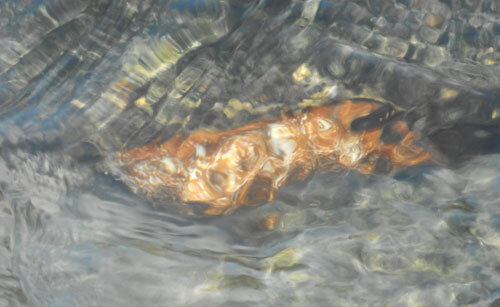 Coming closer to it, I noticed that is was just asleep, and snoring air bubbles into the water. I starled it, and got a surprise look. 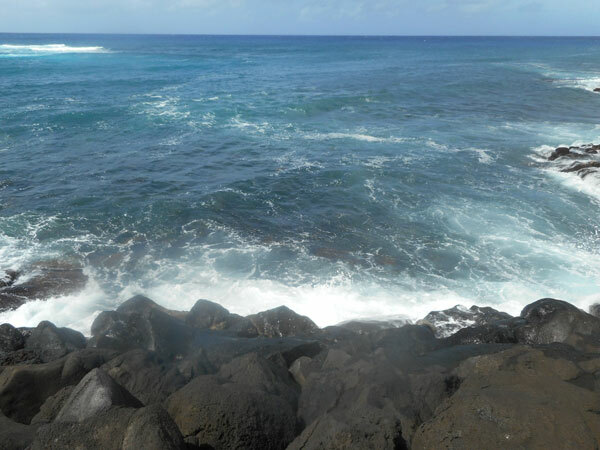 A bit further down the reef, I came up on a high cliff with big 10-12 foot waves crashing into the deep crevasse. 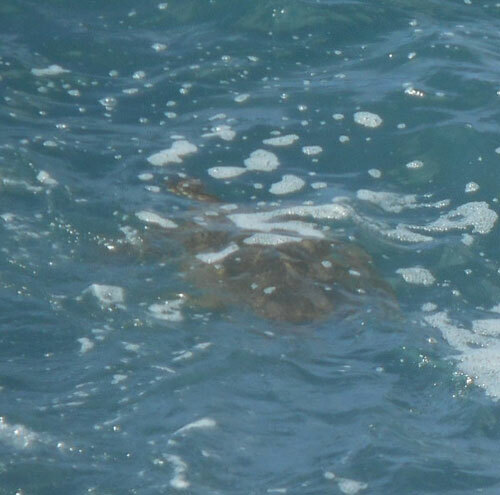 Noticed some giant sea turtles feeding on smaller fish being brought in by the crashing waves. 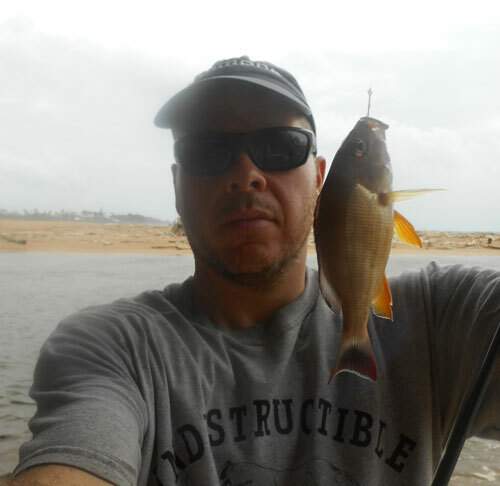 Decided to hook up some calamari squid on a small hook about 2 feet under a popping cork, in attempt to catch some bigger, bright yellow fish the turtles were eating. 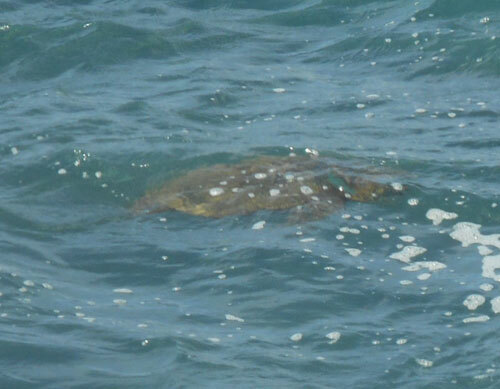 Plan seem smart, until one of the giant turtles decided to go after my line. Called it a day after that, as the wedding was planned for a couple hours later. 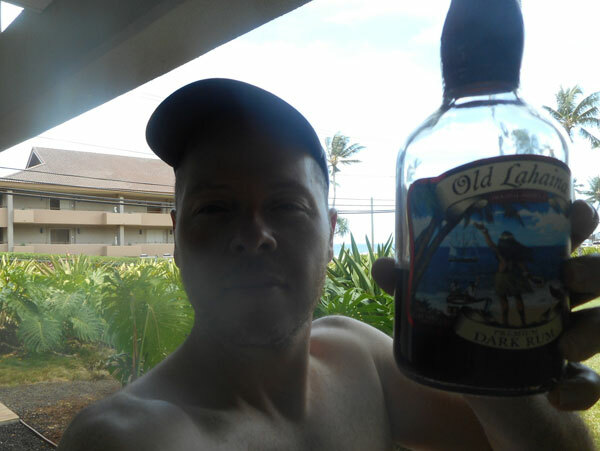 Rewarded myself with a local drink when I got back to the Sheraton resort. 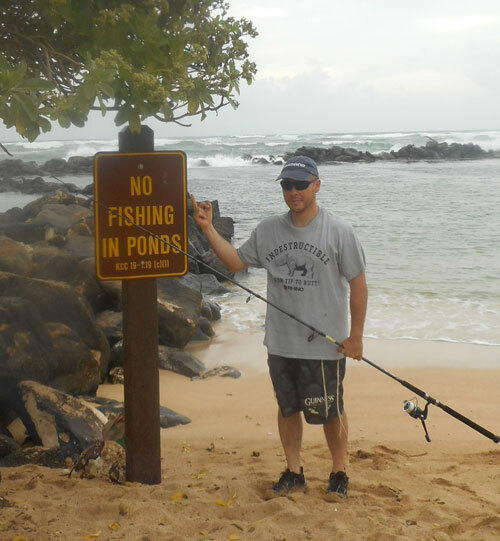 After not having caught anything in a few days due to fish not biting at night and other activities planned during the day, Sunday was my last chance to get some fishing done before leaving Kauai. 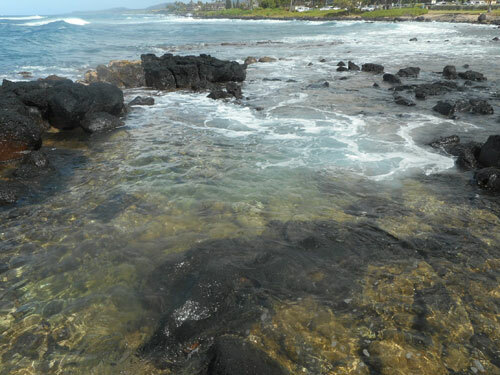 Starting off my morning on the reef at Poipu beach, I hooked into 3 small Moray eels in the shallow rocks. These critters are smarter than they look, most of their bodies were anchored in the rocks, which made removing them from the rocks impossible. After handle battling them with my leader, each one eventually snapped my line in the abrasive rock they were imbedded in. 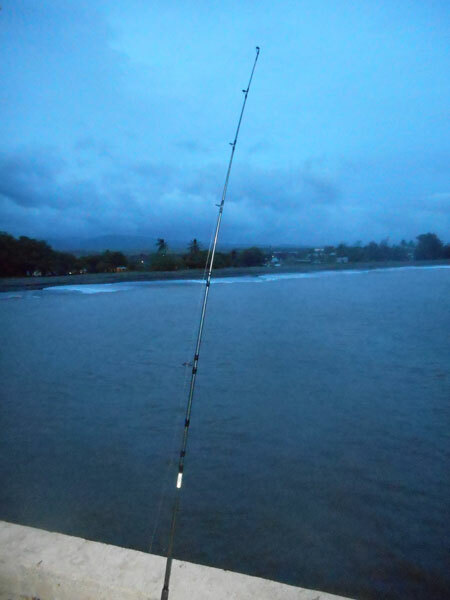 Heading out to Hanalei beach with them, I brought along my rod for this one, but the sandbar a beach goers made fishing impossible there. 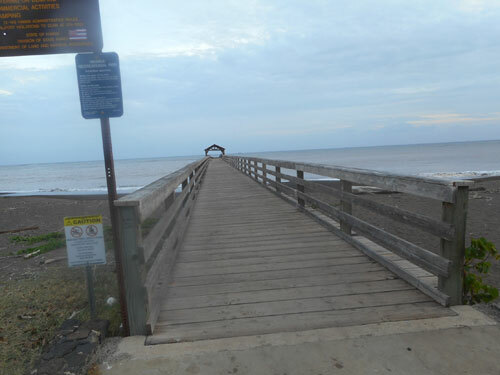 I tried the pier at the end of the beach for about 1 hours with no hits. 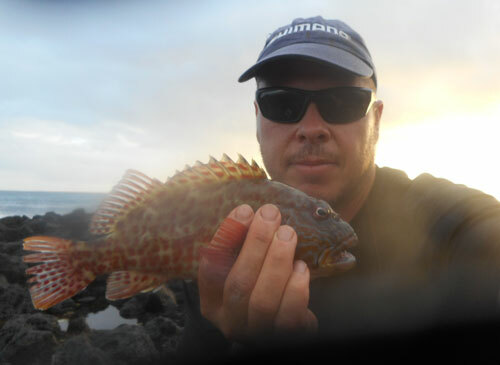 After driving back to Poipu in the late afternoon, I headed out for one more sunset in Hawaii before returning home, land a few more stocky hawkfish in the Hawaiian sunset. All in all, a satisfying shore fishing adventure. Didn't manage to hook or land any sport species, but to be fair, those are found a few miles offshore where the ocean drops to 9000 feet of depth. 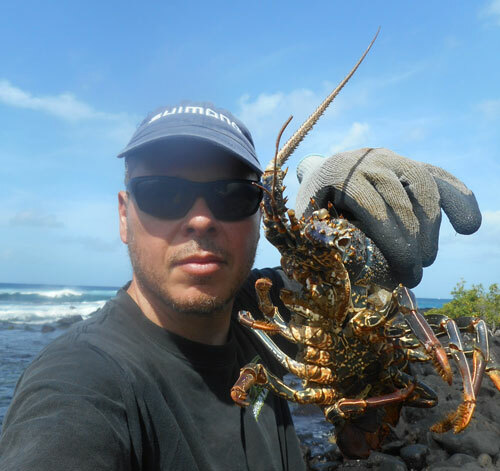 I did manage to outfish every angler that I ran into, both tourists and native Hawaiians. Even one of them that had caught most of his fish with a throw net was quiet surprised at my rod and reel success. Hope to have some more adventures of this caliber sometime in the future. Very enjoyable reading, thank you for sharing it with us! 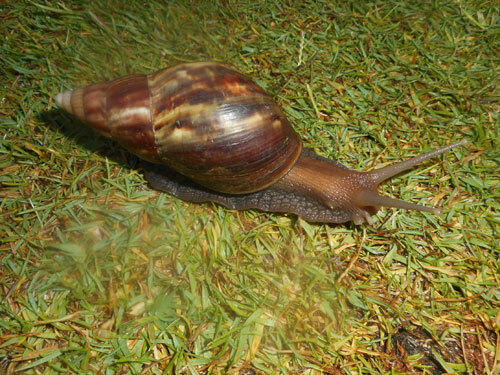 All information, pictures and videos on this blog are copyrighted by Freshwaterphil.com.